Toyota Motor Corp. announced the launch in Japan today of the Ponam-35, its newly developed leisure boat. The Ponam-35 — the first of a new class in the Ponam series — is a cruiser ideal for pleasure cruising and fishing, the company said. It features a rigid hull of a high-strength aluminum alloy and a new 4.5-liter engine derived from the Toyota Land Cruiser 2 SUV, as well as “excellent operability achieved with technology adapted from Toyota automotive technology,” Toyota said. 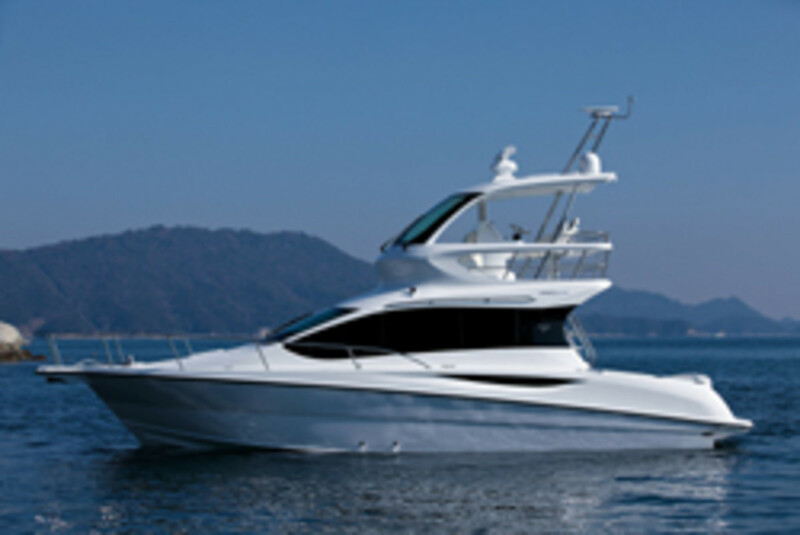 The company has an annual sales target of 15 units and plans to market the boat in Japan. The company&apos;s specifications list the boat as 11.95 meters long, or 39 feet, 2.5 inches. “Going forward, TMC will continue to promote its marine business by developing attractive products designed to provide rewarding leisure time and support lifestyles,” the company said in a statement. Toyota, the world&apos;s biggest automaker, first entered the Japanese leisure boat market in 1997.